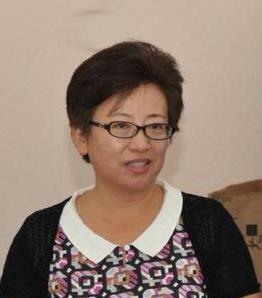 Madam Ou Boqian, China’s Ambassador to Grenada walked out of a function on Sunday night while a Junior Government Minister was speaking about the achievement of the current administration and referred to Government’s successful bid to have a long-standing debt with the Export Import Bank of Taiwan receiving a 50% reduction. Senator Winston Garraway who is the Parliament Secretary for Information in the Office of the Prime Minister, was at the time addressing the annual Media Association awards ceremony, when he told media workers that just as they are celebrating their success for the year 2014, Government is also celebrating many achievements, including that of receiving the reduction from Taiwan. As soon as Sen Garraway referred to Taiwan, the Ambassador got up from her chair walked out of the hall of the Annex of the Grenada Trade Centre. She was quickly followed by her assistant, and they remained outside until the Senator was finished speaking, and then returned to their seats after he returned to his. She later presented the three distinguished awards. Ten media workers were last year provided with the opportunity to visit China through a special programme of the Embassy. The Chinese Embassy in Grenada has not issued an official statement on the action of the Ambassador, but has informed the media that on 21 January, the ambassador will be having an open day with the media and will comment on anything. It is well-known that China sees Taiwan as a renegade province and does not recognize it as a sovereign state. Ten years ago Grenada severed ties with Taiwan and resumed diplomatic relationship with mainland China. Government officials said that since Prime Minister Dr Keith Mitchell announced that Grenada had received a 50% reduction on its debt to Taiwan, the Chinese ambassador objected to the format of the wording of the news release which was submitted after he made the announcement on a television programme. Shortly after the Prime Minister made the announcement on a popular television programme, the Government Information Service issued a news release providing details on the terms and condition for the reduction but it was recalled. She requested that change throughout the release where it originally said Republic of China (Taiwan) should be corrected to say Taiwan. It is understood that the press release was recalled because of concerns from the Chinese Embassy in Grenada on the use of the Republic of China (Taiwan) in the release.